Danetz brings extensive experience to the IAB Data Center of Excellence, a trade group that enhances data resources for the digital media, marketing and advertising industries. AccuWeather Global Weather Center - February 8, 2019 - AccuWeather, the world's largest and fastest-growing weather media company as well as the leader in weather-related data, business and analytics, today announced that Global Chief Revenue Officer Eric Danetz has joined the board of the Interactive Advertising Bureau's (IAB) Data Center of Excellence. Known worldwide for forecasts and warnings with proven Superior Accuracy™, AccuWeather was one of the first enterprises to leverage data in a meaningful way for business and marketers, and has the world's largest collection of weather data. An independently funded unit within IAB, the Data Center of Excellence was founded to expand existing IAB resources and drive the "data agenda" for the digital media, marketing, and advertising industry. Its mission is to help advertisers and marketers operationalize their data assets, while maintaining quality, transparency, accountability and consumer protection. IAB comprises more than 650 leading media and technology companies responsible for selling, delivering, and optimizing digital advertising or marketing campaigns. Danetz's membership on the board broadens AccuWeather's proactive engagement in developing and promoting data practices and standards that protect consumers while supporting business innovation and growth. "I am extremely excited to help develop and implement best practices for data usage in our industry," said Danetz. "The last few years have revolutionized the potential benefits and risks inherent in using data," Danetz said. "AccuWeather understands that this transformation also increases the importance of privacy and brand safety. As we use data to improve consumer experiences as well as expand contextually relevant ad products, partnering with other innovators like Foursquare and Beemray, AccuWeather is dedicated to being a compliant, transparent, and accountable organization. Joining the IAB Data Center of Excellence board will help us garner valuable insights on potential issues and trends, share the experiences and lessons we've learned, and work with other leaders to ensure the positive growth of our industry." In addition to obtaining representation on the IAB Data Center of Excellence board, AccuWeather is working with the IAB in other ways to enhance the industry. AccuWeather was a VIP sponsor for the IAB Annual Leadership Summit in Phoenix, Arizona, and other activities are planned for 2019. "We look forward to adding Eric's dynamic thinking and creativity to the IAB Data Center of Excellence Board," said Orchid Richardson, Vice President and Managing Director of the IAB Data Center of Excellence. "This board is focused on best practices for using data effectively in the supply chain - all to the benefit of publishers, brands, and consumers. We are pleased to have Eric on our team to tap into his expertise and leadership in this space to advance this objective." Prior to joining AccuWeather, Danetz was Senior Vice President and General Manager, Time Inc. International, where he managed a multi-platform portfolio of more than 90 brands in 170 countries, published in 19 different languages. 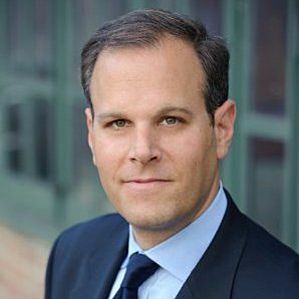 His other previous roles include Group Publisher of Fortune & Money; EVP, Chief Revenue Officer at Defy Media; and executive leadership positions at Newsweek, The Daily Beast, CBS Interactive, CNET and Ziff Davis. AccuWeather™, AccuWeather MinuteCast®, Minute by Minute™ and Superior Accuracy™ are all trademarks of AccuWeather, Inc. The AccuWeather app for Android phone and tablet users can be downloaded free at the Google Play store. The AccuWeather iOS app is free at www.AppStore.com. Visit accuweather.com for additional information.